1.) In a small bowl mix together mayonnaise and yogurt. 2.) 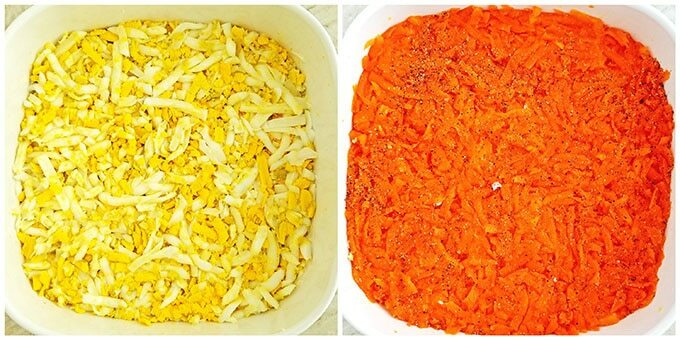 Prepare all vegetables & keep vegetables separated & have them ready to layer in a see-through glass casserole dish. 3.) 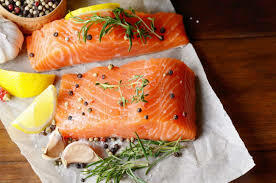 Dice salmon fish and spread it evenly over the bottom of the casserole dish. (It may be assembled in any type or shape deep dish you desire. ), Top with minced onions. Drizzle with 3 TBS. olive oil & fresh cracked pepper. 4.) Spread cauliflower rice evenly over salmon. Add ½ cup mayonnaise and spread out evenly over cauliflower, gently pressing down with a spoon to pack it tightly. 6.) 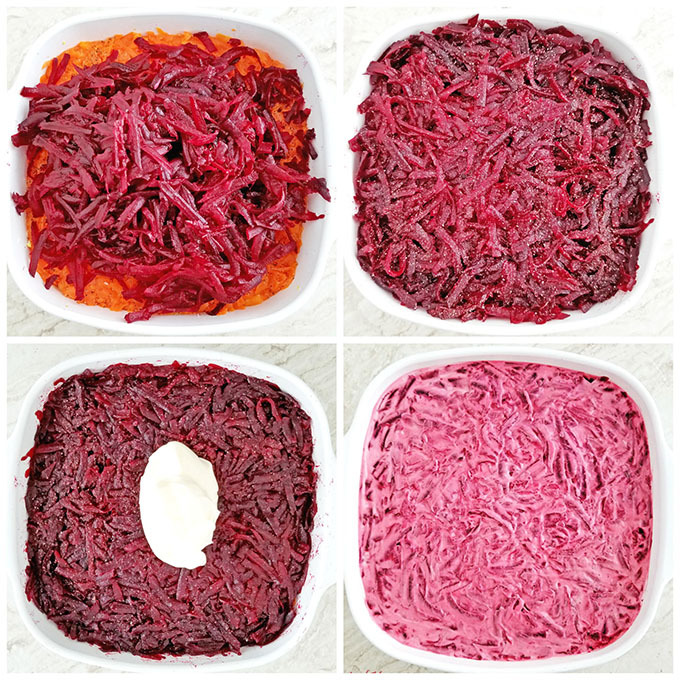 Finally, add a layer of beet sauerkraut and spread it out evenly over carrots in the same way. Add the second half cup of mayonnaise mixture and spread out over the sauerkraut. 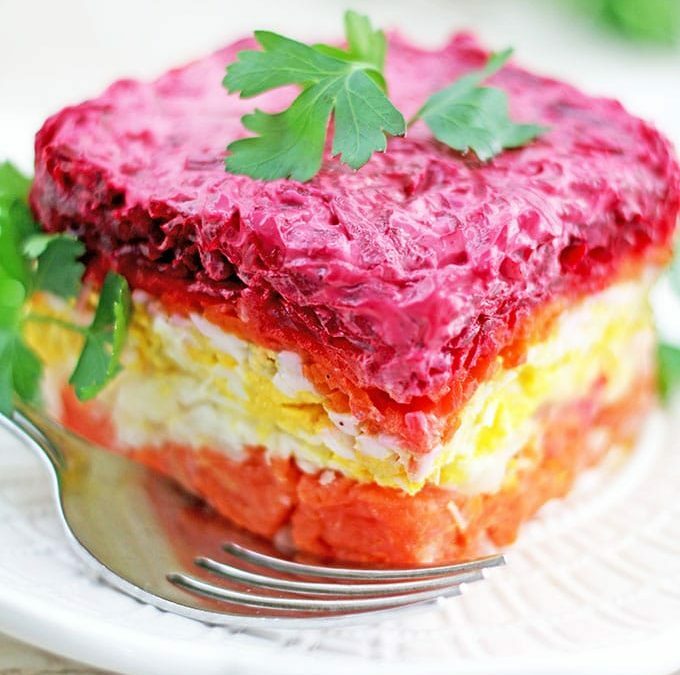 The juice of the beets will bleed into the mayonnaise, coloring it a beautiful bright purple color. 7.) Refrigerate for at least 4 hours (to overnight) for salad to chill and firm up. 8.) Slice the shuba salad into squares and serve.